If we could remember, Glo recently launched similar Tariff plan which gives you a whooping 800% on any recharge you make. Now, Airtel has launched its own Tariff plan which gives you 6 times of the value of any recharge you make. According to Airtel, SmartConnect 2.0, is a new offer which offers prepaid customers six times the value of every recharge. It gives you more Airtime to call all network than you can even imagine. 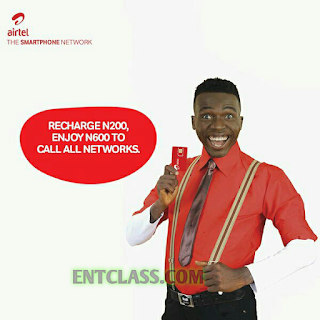 For example, if you recharge your line with N100, you will get N600 airtime bonus immediately. 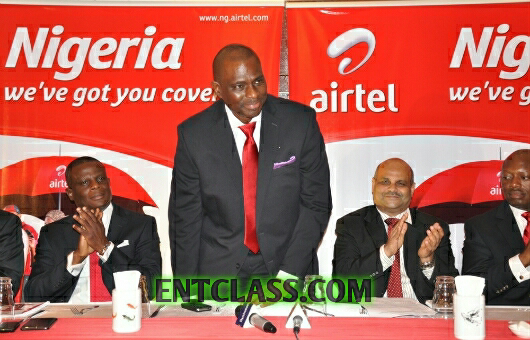 N250 to call any network, N250 or 50mb. If you recharge N1000, you will get a whooping N6000 of bonus airtime. Your original N1000 will still be intact. 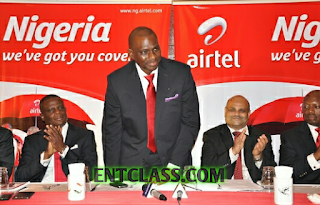 N2500 for national calls, N2500 or 500mb. To check your balance, kindly dial *123# to check your balance. WHAT IS THE VALIDITY OF THE BONUS AIRTIME? The bonus Airtime or data is valid for only 7days while your main account balance has no validity. HOW CAN I ROLLOVER THE BONUS AIRTIME? To rollover any bonus, recharge your line within the period of the validity and your bonus airtime will be extended. WHAT'S THE CALL RATE LIKE? You will be charged 50kb/sec from your Main account and Bonus airtime. If you love sleeping on Calls, i think, this plan is best fit for you. lol..